George Soros is a huge player in the worldwide trafficking of information. The media outlets he cannot directly influence with his money, he influences through the left-wing media watchdog group, Media Matters. Soros funds several left-wing think tanks, which propose policies often referred to glowingly by the media. 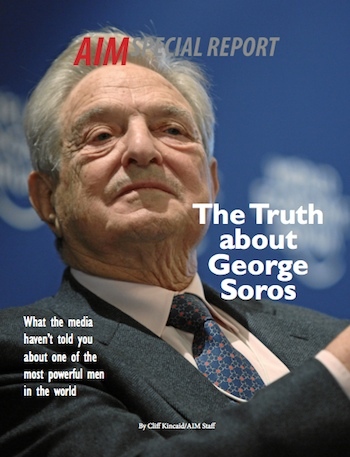 In this AIM Special Report, we have gathered several notable articles AIM has published over the years, documenting and exposing Soros and his agenda. It is available for immediate download now for only $10.